Dome Technology, an international industrial construction company that invented and pioneered the concrete-reinforced dome more than 40 years ago, introduced its DomeSilo™ concrete grain storage structures in 2006. According to Vice President of Marketing Jason Miller, the dome structures are designed to more economically store product in a smaller footprint than other types of storage structures. “Grain producers often turn to steel bins or concrete silos,” he says. We believe a DomeSilo is a superior product for their grain storage needs. Dome can be finished with polyurethane foam insulation that moderates the inside temperature and minimizes internal condensation. Dome Technology team provides a turnkey storage solution, providing all the work from planning, engineering, and design to construction. “Thanks to its seamless construction, the dome provides greater grain protection,” he adds. Miller adds that monitors that detect fluctuating temperatures and the presence of carbon dioxide can be engineered into the dome. Multiple blowers near the apex and ground level of the structure provide grain aeration. 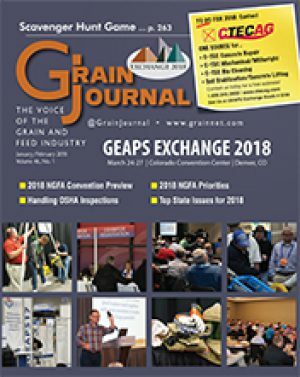 View this review and more in the Grain Journal Jan/Feb 2018 magazine.